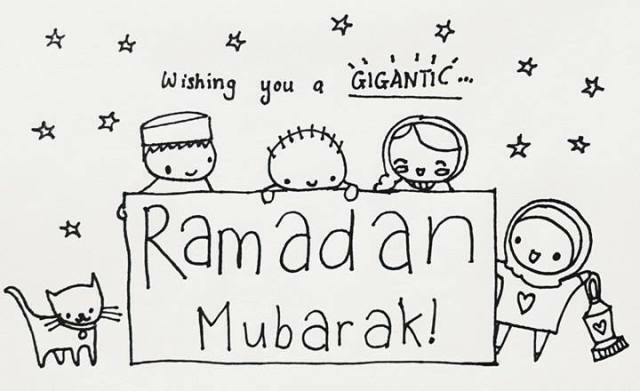 As Ramadan comes to an end and Eid is in sight, celebrations of a month of struggle, fasting and a rejuvenation of spirituality will undoubtedly begin. While many will celebrate how many fasts they completed and the number of Quran chapters they read, it is important to recognise the struggles of those who are marginalised in the community: Muslims with mental illnesses. Among them are those who cannot fast, or complete other Islamic duties, and who are often made to feel ashamed for what many perceive as “shortcomings” in their piety. 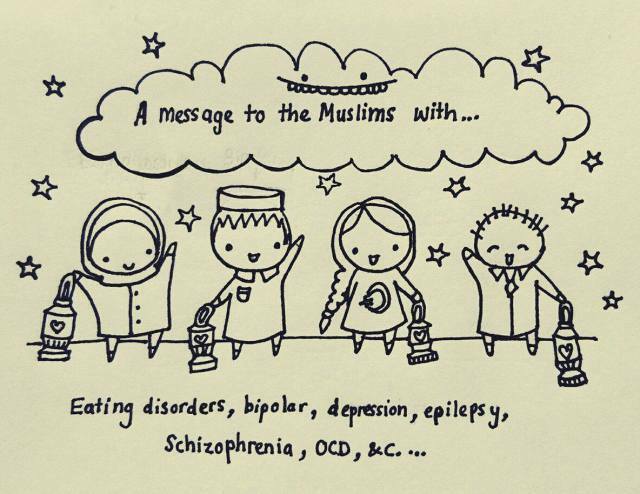 In order to counteract this message that Muslims with mental illnesses are not “enough” – whether spiritually, or otherwise – Mary Clark, a self-described doodler and 22-year-old student at UCL, created a series of doodles to celebrate them at the start of the month. Although they were intended specifically for Ramadan, the messages within them are ones Muslims should take into consideration throughout the year, to be more inclusive of Muslims who struggle with their mental health. 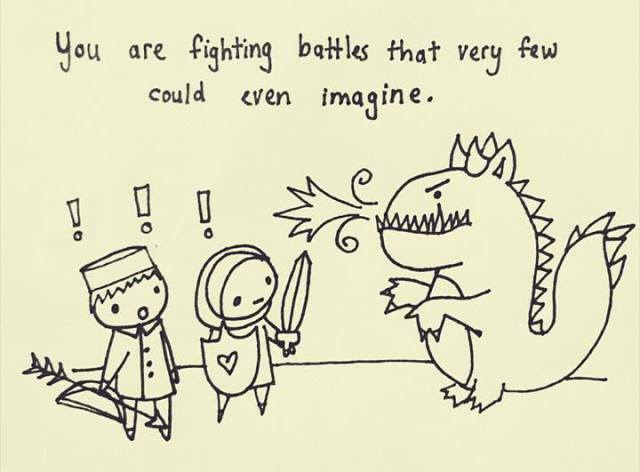 Shared on her website, Mind of Mary, she manages to capture the difficulties Muslims with mental health problems face and reminds us how we can be supportive in five cute pictures. As well as this she highlights a variety of reasons Muslims around the world are unable to fast during the month of Ramadan: the possibility of triggering eating disorders, the necessity of daytime medication and maintaining schedules, to name a few. As someone who has had issues with mental health, she explains that she “wanted to put what I can do and know to good use. 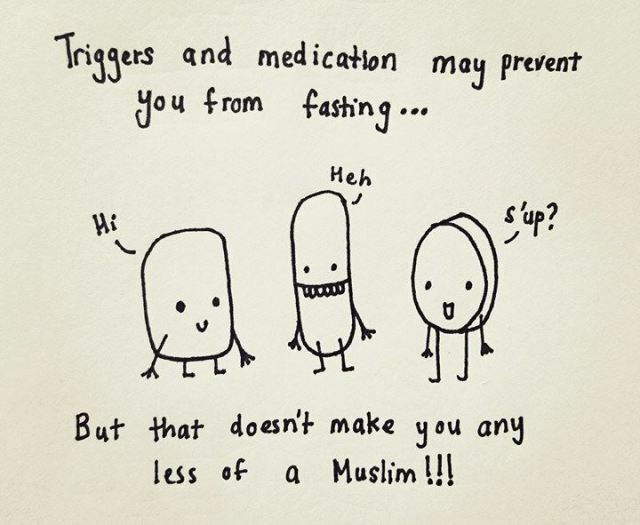 I’ve known how it feels to not be fasting because of mental health and I also know people who have done that as well. 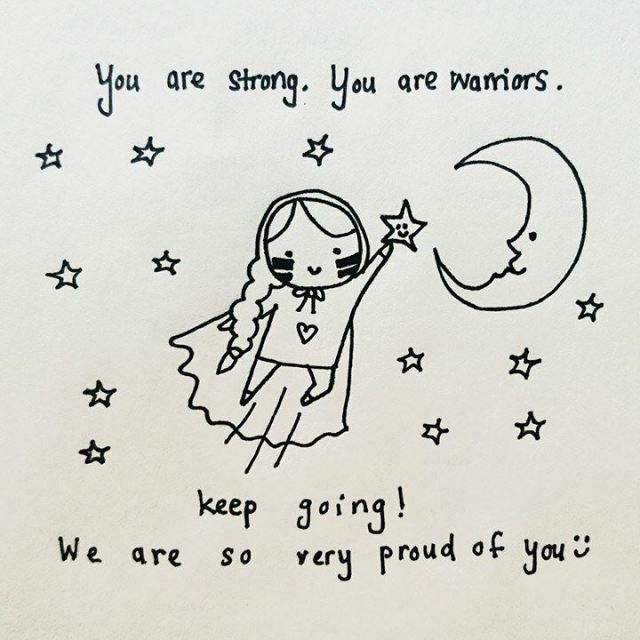 I guess there’s not that much out there, not much awareness and it can make you feel really alone.” This isolation motivated her to start off a conversation through her doodles, to hopefully – at the very least – remind Muslims struggling with mental health that they’re not alone. The idea of making Muslims with mental health problems feel supported is something that carries through to Mary’s doodles and features heavily in the interview. This is even more significant during Ramadan, as the month is not intended to be easy for anyone and poses further challenges. We agree that there is more to Ramadan than fasting; while it is a focus during the month, moderating behaviour and attitudes towards other people is just as important. Ultimately, Ramadan is about your own personal relationship with God and of “demonstrating your respect for what God has said”, however you are capable of doing so. While the month is drawing to a close, the necessity to include Muslims with mental health problems becomes no less important beyond Ramadan or in celebrations of its end. In fact, when celebrations are centred on accomplishments within the month, this can be even more isolating. A good way to make sure these Muslims are not left out is, Mary notes, “to include, notice [and] praise them.” Try not to remind them they were unable to fast over the past month and focus on something else; ask them if they’re coming to the mosque with you for Eid prayers, or if they want to meet up. If all else fails, there are smaller ways to help those close to you who may be struggling. Mary’s advice for support of Muslims during Ramadan rings as true any time as in Ramadan but she didn’t fail to deliver some more ideas for how to help. Although she admitted it was “difficult” to know what to say to someone struggling with their mental health, she explained that the best thing to do – beyond ensuring they are getting the help they need – is to “bring them what they love and just be there for them”.